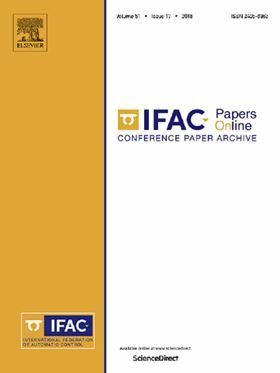 The research article 'Towards a Predictive Maintenance System of a Hydraulic Pump' has been published in Elsevier's IFAC-PapersOnLine (Volume 51, Issue 11, 2018, Pages 447-452). In this contribution we present a model based approach towards predictive maintenance of the hydraulic pump of an injection-moulding machine for a system that remains in production. We present a methodology to iteratively gain a detailed understanding of a production facility. We describe our approach from problem evaluation, gathering of expert knowledge, data access, exploration of and knowledge mapping to the data, towards a first model. We discuss the advantages of the implementation of expert knowledge to define normal machine behaviour in terms of data-quality control and resource-friendly modelling. We present first results from a physical model of a subprocess and from a model based on vibration analysis and discuss their interplay and possible benefits from this different models.